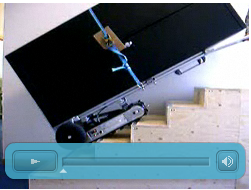 The Stair-Robot ® Motorized Stair Climbers save you money, prevents you from back problems and save valuable time. Built to the highest standards and therefore a very reliable machine. Provides an excellent value for money and the lowest total cost of ownership in the industry. 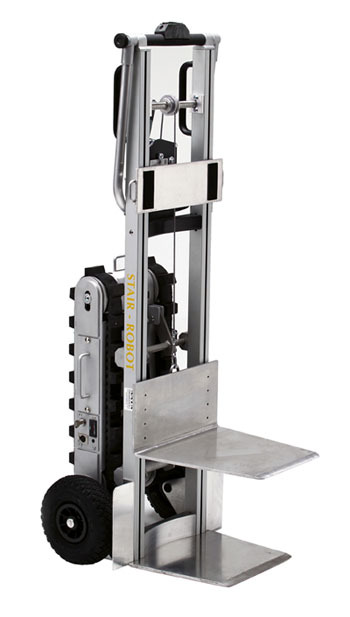 Four machines in one: a powerful step climber, a powered tailgate lift, a loading ramp and a well balanced dolly. A strong labor-saving device that can help reduce costs and can contribute to profitability. 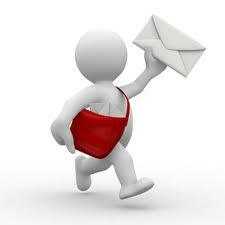 Less risk of damage to property and products than other moving methods. trainingsmogelijkheden.Supported by superior customer service and training opportunities. Reduces the physical effort to move heavy goods by 87% . Heavy goods can be transported with less labor intensity. The machine does not move without operating the buttons, even when the battery is turned off. The devices are made so that ultimate security is provided. It is not possible that the device falls down the stairs.